Fact: 1 in 3 children ride unrestrained. Fact: 2 out of 9 children are in the right car seat. Fact: Did you know that only 1 in 4 child car seats are properly installed? Fact: Many injuries and deaths are avoidable with the use of proper restraints like child car seats, booster seats, and seat belts. Fact: Injuries caused by motor vehicles are the leading cause of death among children in the U.S. Fact: Research from real crashes show that kids sitting in the center are 43% safer than those sitting on the side, since in the center you cannot take a direct hit in a crash. 1. The rear-facing car seat had to fit comfortably in the middle seat of the second row. The car seat must not touch the back of the driver or passenger seat. 2. There had to be enough room on either side of the car seat for a person to be able to ride comfortably. 3. The a/c vents in the second row had to be positioned in such a way as to provide adequate cooling. The 2012 Camry SE they were trading in had no rear vents for cooling. The Clark’s tested all 3 SUV’s in the same manner and eventually decided on the 2015 Toyota Highlander. In all of their real world tests, the Highlander stood head and shoulders above the rest. 1. 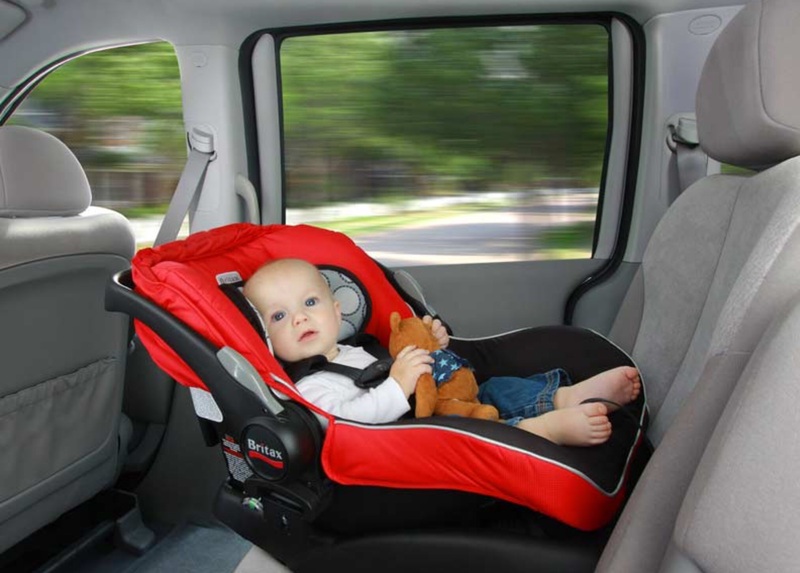 Turn babies backwards – Infants and children under two years old should ride in a rear-facing car seat with the harness snug according to car seat specifications. 2. Face toddlers forward – Secure toddlers in a forward-facing car seat until at least four years olds and 40 pounds. The harness should be snug according to the car seat specifications. 3. Use the one-inch rule – when properly secured, the car seat should not move more than an inch in any direction. 4. Give kids a boost – Put children 4 foot 9 inches and under in a booster seat to ensure their seat belts fit them properly. 5. Put kids in the the back – Children 12 years old and under are the safest securely buckled in the backseat of any vehicle with the seat belt across the upper thighs and snug around the shoulders. "I will make buying your next car an easy and pleasurable process." © Kinny Landrum at Toyota of Bowling Green, 2019. Web design by Penny Media.